October 17, 2014. The Russian Orthodox Church is considering the possibility of rehabilitating people of no fixed abode on the premises of monasteries and churches. Izvestia, the Russian newspaper, has reported that the Church supports the idea of creating a “return community” for the homeless, which was suggested by one Moscow official. 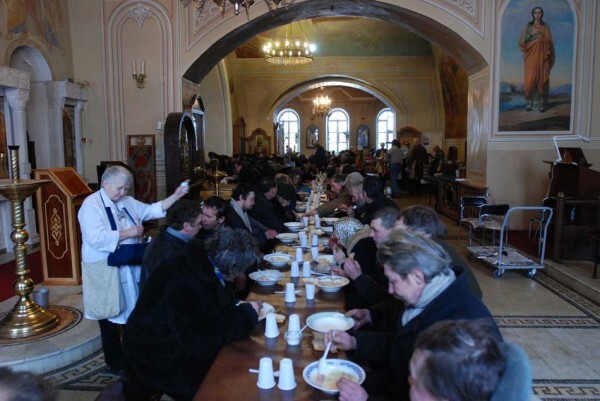 According to Ilia Kuskov, Chairman of the Helping the Homeless Movement of the Synodal Charity Department, monasteries can provide the homeless with overnight accommodation, food, and work; the possibility of talks between them and representatives of the Church and psychologists is also being discussed. Ilia Kuskov believes this initiative can be implemented; however, federal funding is needed for this purpose. He pointed out that help for the homeless should come in an integrated manner. Hieromonk Dmitry (Pershin), Chairman of the Missionary Committee of the Moscow Diocesan Council, also supports this charitable initiative.